Medicare's new system for paying physicians will kill off the so-called “meaningful use” regime the government has used for the past five years to judge whether the providers deserve to be rewarded for using electronic health records. But that doesn't mean Medicare will no longer hold physicians accountable for incorporating information technology into the practice of medicine. And physicians may still struggle to clear the bar, even though the law and the proposed rule issued by the CMS (PDF) have made significant efforts to make the new framework less rigid and more valuable. Under the Medicare Access and Chip Reauthorization Act, the CMS will roll the new IT metrics, to be dubbed Advancing Care Information, into a new unified incentive payment system for most physicians. The IT part, accounting for 25% of physicians' overall score, emphasizes interoperability, information exchange and security. It also makes an effort to reorient how Medicare gauges the success of IT toward how useful it is to clinicians and patients, including through the required use of application program interfaces, commonly known as APIs, which regulators said should make it easier for patients to access their health information. 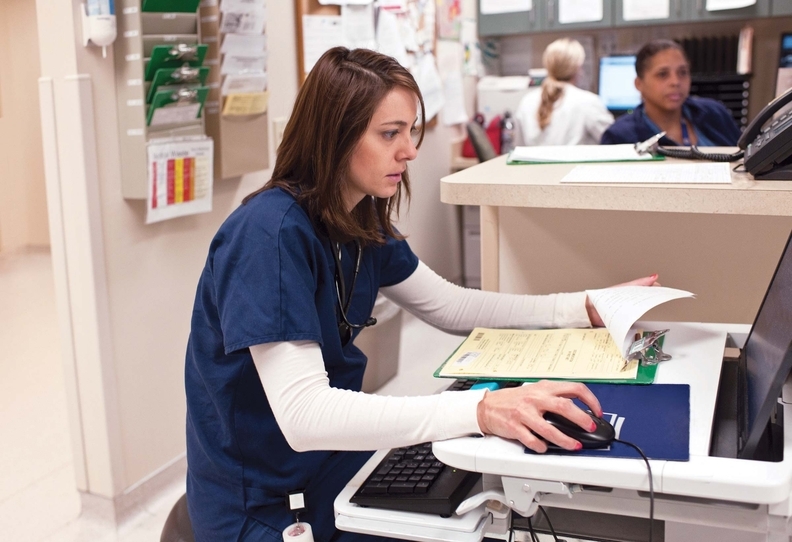 The Merit-based Incentive Payment Program, or MIPS, omits requirements such as clinical decision support and computerized provider order entry in physician electronic health-records. By allowing physicians to choose from a number of categories, the program seeks to correct the all-or-nothing approach that was a common gripe lobbed at the meaningful-use rules. The IT component of MIPS will require physicians to demonstrate that their EHR system isn't “data blocking,” a term the government has used to refer to a broad range of activities that hinder the sharing of information among various IT products, often for competitive reasons. By shining a light on data-blocking, HHS' Office of the National Coordinator for Health IT will likely make it harder for providers and vendors to get away with it, said Robert Tennant, the health IT policy director for the Medical Group Management Association. But, he added, it's often hard to identify the culprits. It could be internal business policies at hospitals, a lack of industry standards or the vendors themselves. Though CMS has touted the flexibility of the IT requirements of MIPS, that only comes into play in the Advancing Care Information category's performance score, Tennant pointed out. Physicians must submit information for all of the items to achieve the base score worth 50%, or they'll receive a zero. “We appreciate the attempt at flexibility, but we really want to see a system that maybe is a little bit less prescriptive,” Tennant said. Another notable provision would require physicians and hospitals to allow the ONC to evaluate the performance of their EHR system, giving the agency authority as a post-market reviewer of health IT products to make sure they work as promised in the real world. The proposed rule also stresses the importance of technology in healthcare beyond records–namely in the area of telehealth. The CMS proposes to “include telehealth services in the definition of patient-facing encounters,” which would suggest the agency is looking to solidify the parity of telehealth with face-to-face interactions, a concept some states and insurers have resisted. “If the way that the MACRA law treats technology continues and branches off, it could be a game-changer for healthcare,” said Robert Horne, executive director of Health IT Now, a coalition of payers, provider organizations and patient advocacy groups.